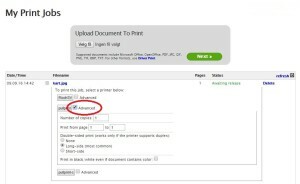 This guide will show you how to print from your own computer or any other computer. 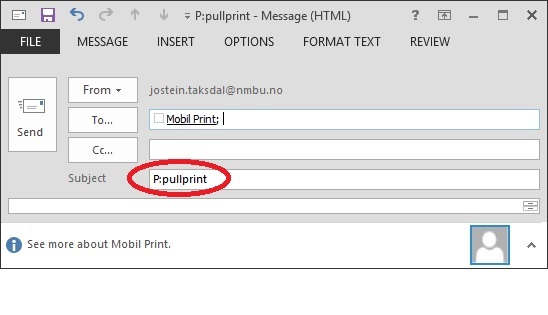 With the mobil print solution you can print from any device that can connect to the print mobil website. Remember to choose the correct printer when you are trying to print. 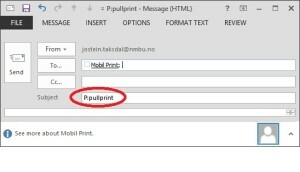 The name of the printer is NMBU-PullPrint-safe01. You can send a picture or document to your print queue. This is very easy. 4. Go to a printer and swipe your ID card to get your print. NB! It’s important that you send the document from your NMBU-email, in order to connect the printer to your user and your studentcard.